This is the first of several commentaries on “The Paradox of Samsung’s Rise,” an article by Tarun Khanna, Jaeyong Song, and Kyungmook Lee in the July−August 2011 HBR. While it may not be intuitive to global readers, I see many similarities between Samsung’s transformation from local leader in Korea to major player on the world stage and our own journey in building the United Bank for Africa into a group that operates in 20 countries and on three continents. Like Samsung, we have found it critical to establish leadership in home markets first, we place a similar importance on mixing local and global talent, and we faced the same cultural integration challenges. We also find regional knowledge out of fashion in business schools, a critical shortcoming that the Tony Elumelu Foundation is addressing in a new program called the African Markets Internship Programme (AMIP), which began just last month. At this moment, the AMIP is placing students from top African, European, and American business schools in highly structured programs with African companies. AMIP matches the unique skills of each intern with the particular needs of each host business to tackle their most pressing business problems. These include forging new business strategies, marketing new products, and developing African growth strategies. In this way, the interns will build practical knowledge while making a significant contribution to the firms’ success. On June 2, 2011, the interns arrived in Lagos to participate in orientation exercises for the inaugural year of the program. They reported to host businesses in Lagos, Accra, or Nairobi to work as product managers, product marketing managers, financial analysts, human resource analysts, and strategic business analysts for eight weeks before returning to end-of-program sessions beginning August 4 in Lagos. This year’s interns hail from such business schools as Yale, UPenn, London Business School, Spain’s IESE business school, Lagos Business School, Ghana’s GIMPA, and the Strathmore Business School in Kenya. Each student has already had an average of four to five years’ work experience and has demonstrated a strong interest in working in Africa and a preference for emerging markets. Participating firms are all African-owned (rather than multinationals operating in Africa), mainly small to medium-sized companies, with annual revenues between $2 million and $10 million and from 150 to 300 employees. Critically, they each are led by visionary CEOs who can inspire and mentor business students and provide them with a truly meaningful experience. The Lagos-based companies include the investment houses Alitheia Capital, Doreo Partners, and Verod Capital, as well as publisher Kachifo Books, the 24-hour cable news station NN24, and the food-processor AACE Foods. 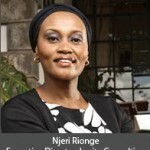 The Nairobi-based firms include banking-software developer Craft Silicon, digital-marketing agency Pamoja Media, call-center operator KenCall, POS vendor Paystream, and online content aggregator A24. And companies in Accra include venture fund Oasis Capital and agricultural private equity house Injaro Investments. Through this and other programs, the Tony Elumelu Foundation seeks to foster the growth of the private sector in Africa. We see building a pipeline of management talent in small to medium-sized companies as a key driver of that growth. We also believe that in the short term, more and more of that management pipeline needs to be trained in Africa to keep up with the fast pace of growth. Far too few top business schools in Africa exist outside South Africa, so one of the primary purposes of this program is to raise the profile of some of the other top African schools by bringing together their students with their counterparts from top-tier schools outside Africa. In keeping with that goal, our plans for next year include expanding the number of participating business schools — both inside and outside Africa.